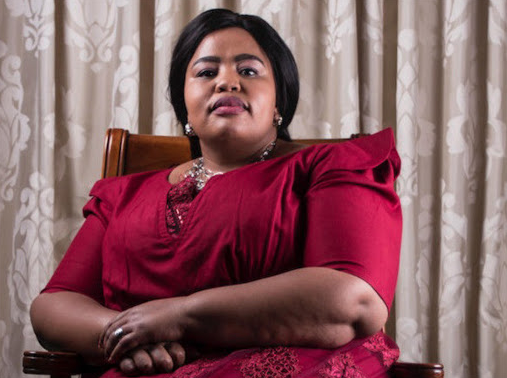 The third season of UthandoNesthembu has returned, and if memory serves you correct, you will remember that Musa Mseleku was left with a bitter taste in his mouth after his four wives made it clear that they were not for him getting a fifth wife. This did not sit well with Mseleku, remember that hilarious sulky exit he made at the end of season 2? Let us re-jog your memory here a bit, also, check how unbothered MaKhumalo looked as her husband walked out of their family meeting because he didn't get what he wanted. Anyway, the third season aired on Thursday night and Musa is still adamant in having a fifth wife. But there seems to be one thing Mseleku has forgotten, and that is the fact that he has strong-willed wives who [although they love & respect him] they will not roll over to his every demand. Especially when it comes to his first wife, MaCele. Besides Mseleku, MaCele is someone else who has people talking on social media. From the first season we always knew that MaCele is a no holds barred woman who does not hold her tongue back on anything, what she feels, she says and does not mince her words. However, although commended for her ways, some viewers dislike how rude MaCele can be towards the other wives for no apparent reason. For instance, in the first episode of yesterday's season debut, viewers were shocked that MaCele let MaKhumalo sit down on the floor when MaKhumalo was in her (MaCele's) bedroom. Here are just some of the responses about MaCele's treatment towards MaKhumalo..
Nope, she couldn't this is MaCele we're talking about. MaKhumalo sitting on the floor really cut some people deep, shame man, we're quite sure MaKhumalo didn't mind, she's such a sweetheart after all. But maybe MaKhumalo is too nice for her own good? On the other hand, there are some people who love MaCele's realness. Season 3 of UthandoNesthembu has started on a high note, we can't wait to see what it has in store for us for the rest of the season. Will Mseleku eventually get his 5th wife? Will the other wives stick around for his decision?